Reprint. Originally published: 2000. Authors, Jonathan Elphick . et al. Spine title: Encyclopedia of animals Cover title: DK encyclopedia of animals. 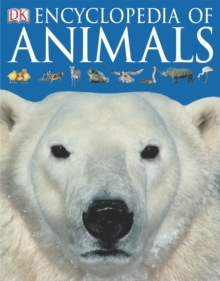 Discover the magical world of animals, from Aardvark through to Zebra. Love animals? Come on a journey through the alphabet and find out all about the 2 million species on Earth. This work includes six sections on each major animal group including mammals, reptiles, creepy crawlies, birds, amphibians and fish. Stunning up-close photography reveals how all kinds of animals and plants live together. It includes fully cross-referenced topics, perfect for homework or projects.